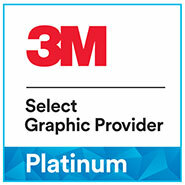 The Blomsma Group has become part of the exclusive group of signmakers that hold the title of “3M Select Graphic Provider”. In the Netherlands only two other signmakers share this title with the Blomsma Group. From 2014 onwards 3M has unified the rating of her partners in the signmaking branch and introduced the 3M Select Platinum Graphic Provider program. Before 2014, the top signmaking companies that fulfilled all the strict requirements of 3M were awarded the 3M Scothprint Graphics Authorized Manufacturer (SPAGM). With the transition to the 3M Select Platinum Graphic Provider program these requirements have become even more strict then before and the control and verification from 3M has also been elevated. 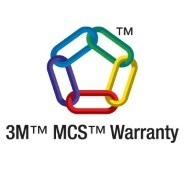 These higher standards are also applied to the 3M installation courses which cover a wide range of diverse products. To properly show the value of our craftmanship in combination with our choice for the highest quality of materials to our clients, the Blomsma Group has dedicated herself to achieving every available certification. As of this writing the Blomsma Group is fully certified as a 3M Select Platinum Graphic Provider and, as new programs become available, we will be the first to participate to achieve an even higher level of performance and quality. From 2001 onwards the Blomsma Group has been qualified as a 3M Scotchprint Graphics Authorized Manufacturer (SPAGM). One important prerequisite is that production, delivery and processing are in accordance with a fixed, 3M prescribed, workflow. This workflow is called the 3M Matched Component System (MSC). By following this workflow the Blomsma Group achieves the highest quality possible on our final products which, in turn, leads to the ability to provide extensive guaranties to you, our customer. The course “3M Endorsed Vehicle Graphic Installer” is one of the new courses affiliated with the status of 3M Select Platinum Graphic Provider. The course spans multiple days and includes challenging, practical exams, where candidates are judged on speed, quality, working method and tool usage. The Blomsma Group is the first signmaker in the Netherlands where the applicators have achieved the highest available rating on their certificates. This denotes another important step towards delivering the best quality in the sign branch when it comes to products where 3M materials are being used. These include products such as safety signage and process identification but also fleetmarking, carwrapping and buildingwraps.